My school has it's first eNewspaper written by students. The idea started last year, when four 4th grade students asked the principal if they could start a school newspaper. She told them if they could find a teacher that would sponsor the club, she was all for it. The girls got one of the 4th grade teachers to agree to sponsor it and myself and another 5th grade teacher hopped on board too. 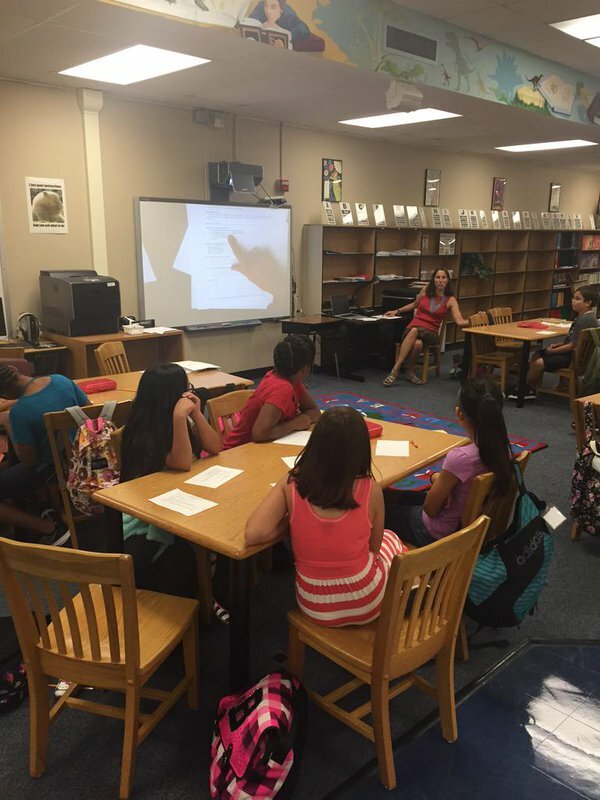 We met with the girls last year to discuss what they were thinking and to formulate a plan for the club. The sponsors met with our technology specialist and decided that the best format to use was edublogs. We set up shared google folders and decided what types of stories/sections we would publish. 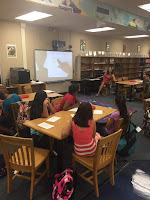 Our first meeting with the students was September 17th. We talked about the process, brainstormed ideas for stories and assigned trios of kids (reporter, photographer and writer) to work on certain subjects. At our next meeting 2 weeks later, the students brought the results of their interviews and set to work writing their stories. And then finally last week, we got the students together again and edited the stories on the screen together and published our first edition. There are some things we want to change for next time, but overall we are pretty pleased with the effort. There was a lot of behind the scenes work done by the sponsors in between the meetings with the students, but I'm sure that will become more integrated as the students become more familiar with edublogs and how to actually publish. We plan to publish at the end of each 9 weeks, so our next issue will hopefully be before the winter break.